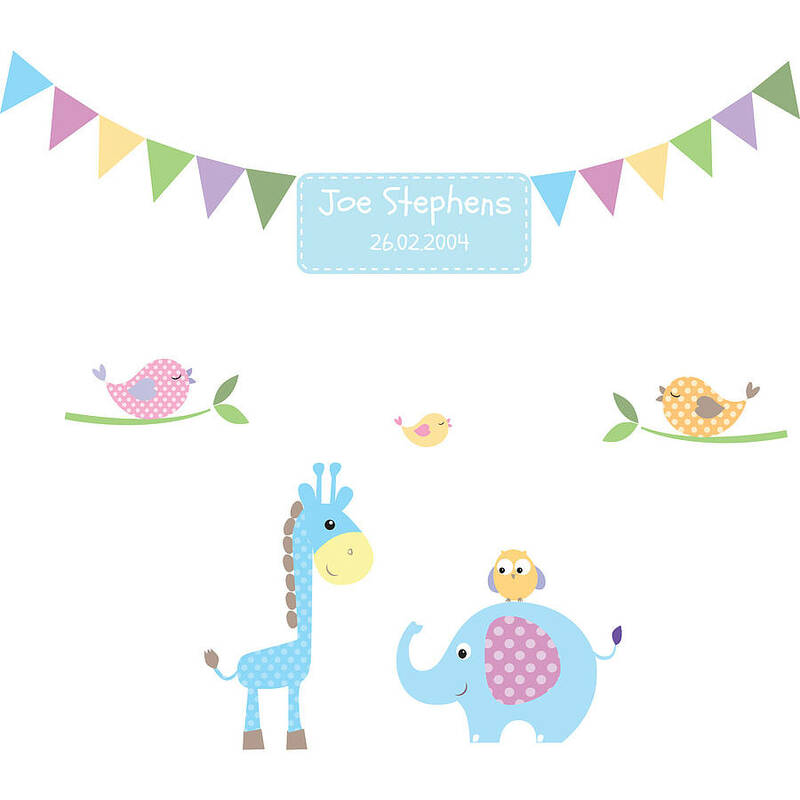 Personalised baby animal wall stickers with bunting. 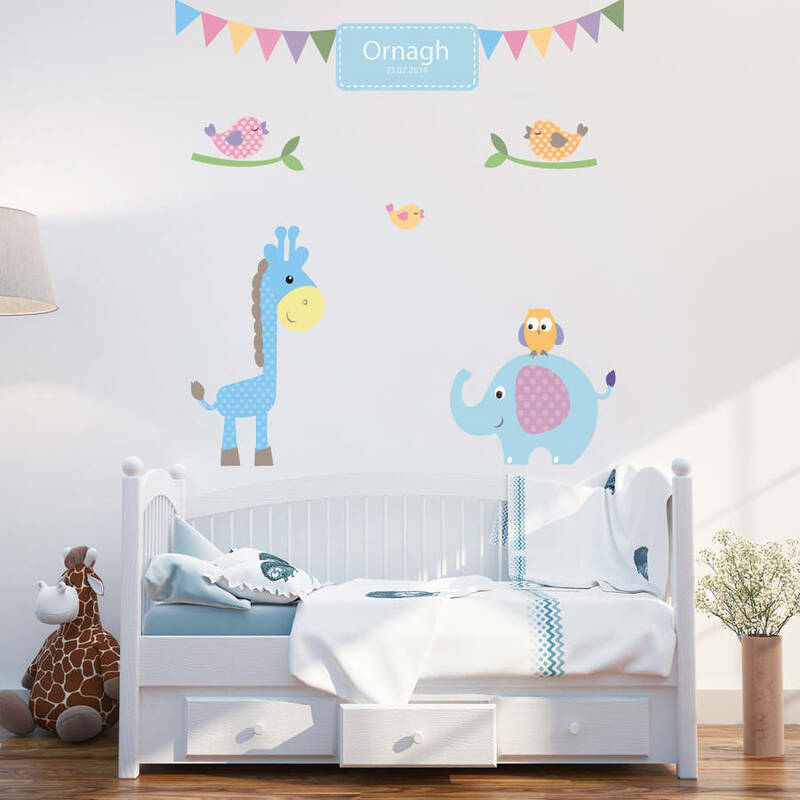 Our children's wall stickers are great for children's bedrooms. These wall stickers can be reused again and again. Printed using Eco-solvent inks on premium matte vinyl. They are perfect as a contemporary finish for your home. Non-toxic and wipe clean they are a must for children's playrooms and nurseries. Made in Great Britain. Personalise this sticker by adding your child's details in the personalisation box. 100cm (w) x 90cm (h) when installed as shown.